This is the web site for the City of Bristol, Florida. This site will give you a general overview of our beautiful city as well as the activities of our City Council and City Hall. The City of Bristol offers water, sewer, and garbage services to its residents. Please check this site regularly for the most up-to-date information regarding our beautiful city. This site includes City Ordinances, Fees and Rates, City Council Meeting Minutes, and much more. Today Bristol has a population of approximately 1,000 residents. Bristol's residents are known as helpful, caring people. Hard work and the love of our natural resources are the back bone of our residents. Bristol is surrounded by the beautiful Apalachicola River which is the largest river by volume in the state of Florida. 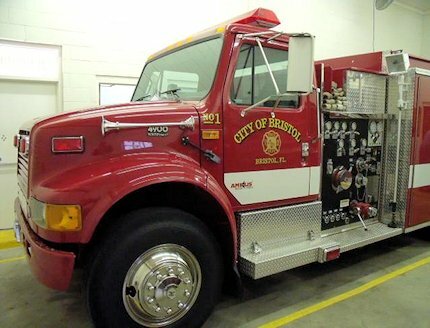 The Bristol Volunteer Fire Department is a true testament to the giving nature of our residents. The small fire department made up solely of volunteers is depended on by residents and they are always there when called upon. Make plans to visit our "Friendly City" soon and feel the southern hospitality for yourself.